Do you want to be the first to read new and unpublished writing? Guess what, kids — that’s a thing now. Because if you didn’t know it, I’m sharing the new goods at Patreon now. Patreon is a subscription-based service which connects creators and their supporters. Artists, musicians, podcasters — anyone who makes things for other people to enjoy — are all using Patreon to support their work. It’s especially useful for a novelist like myself. Because I usually put out one novel a year (maybe two, in a very good year), income isn’t exactly on a biweekly schedule like a full-time paycheck would be. Like most writers, I’ve always supplemented with freelance work. In my case, that has meant a lot of social media work, ghost writing, blogging and other creative work. Freelancing is great, don’t get me wrong, and I’ve been fortunate to grow into a successful social media marketer and content writer in a very competitive field. But it takes away the one thing I need in order to put out my next novel for you to read: time to write. That was the first thing that made me eye Patreon. But still, I wasn’t sure it would work for me. I kept putting the idea on the back-burner. BUT, while I was busy realizing that freelancing was killing the novels it was supposed to be supporting, I also noticed that social media, specifically Facebook, is becoming more and more unpleasant. Everyone’s always picking a fight. I’m not sure what the reason is — maybe people can’t help themselves. But expressing an opinion as simple as liking a video of a cute kid on a horse, or as complicated as disappointment in a top-level eventer’s bitting choices, can set a person up for a lot of ugly argument and name-calling. 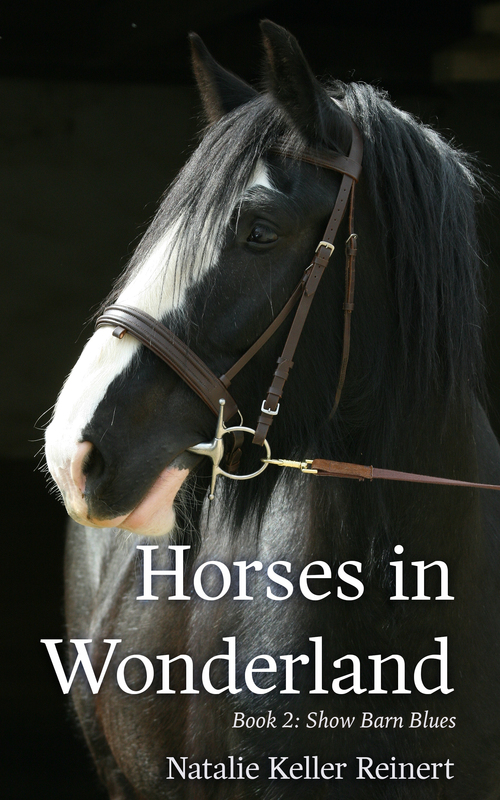 I was frustrated by this, because I want to have conversations about the business of horses with my readers — after all, that’s what my books are all about. Back in January, I made the decision to start a Patreon program that tackles both of these problems. One, with subscribers who support my fiction writing, I can stop thinking about ghost writing another blog post about equine nutrition and get back to working on my next novel — letting subscribers read the work they’re subsidizing along the way. Two, when there’s a discussion worth having about the business of horses, we can have it in a safe space, free of Facebook’s inevitable bad mojo and fighting. July marks the six-month b-day of my Patreon program, and I am excited to say… this experiment is working! When I decided to launch a subscription service at Patreon, I was working against all of my instincts, and I knew it. Share my new novels chapter-by-chapter as I write them? Are you kidding? I don’t publish before at least two massive revisions and usually one rewrite. But it’s such a pleasure to share stories as they’re written (and working just a bit harder on getting the first draft right will surely save me time on the second one, right?). Plus, I love having a conversation about the story’s direction, how readers are connecting with the settings and situations, and what we should do next. I’m also going back through my old notebooks, sharing unpublished sketches, stories and scenes — even visiting the early, abandoned versions of The Head and Not The Heart and Ambition. All of this is a long blog post to say, I’d love to have you take a look at my Patreon and see if I’m offering something you’re looking for. Starting at a dollar a month, you can read unpublished work I share at least once a month. There are more tiers as well, which include rewards like reading a new chapter of my novels in progress once a month (with an ebook of the finished product coming your way at publication, so you don’t have to buy it!) and critiques of your own writing projects so we can get you to publication yourself. If you’re looking for more horse stories to read, and great horse people to talk to, come join us! Just visit patreon.com/nataliekreinert — see you there!